Threads Beauty Bar and Spa is a fun, chic Dublin salon and spa where you will receive superior services from highly talented artists. Experience superior eyebrow threading, Mehendi designs (Henna tattoos), hair cuts and color, natural nails, make up, waxing, natural spray tanning, organic facials and massage services in the Bay Area. 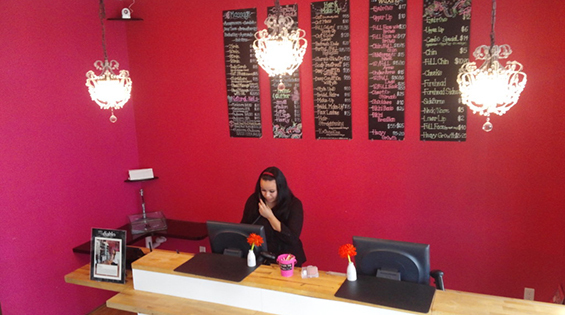 We started our Dublin salon and day spa to provide Dublin, Pleasanton, San Ramon, Livermore, Castro Valley and the surrounding communities with services, such as eyebrow threading and Mehendi designs, that have traditionally been hidden from the main public. Threads is the perfect alternative for those seeking a salon atmosphere. Created with the busy person in mind, Threads welcomes walk-in clientele in addition to appointments. We staff plenty of artists and therapists during peak periods, but walk-ins are accommodated upon availability. Therefore, we recommend that you call and schedule an appointment to minimize your waiting time. Looking great and feeling great is an important part of our daily goals. Our services are designed to enhance your beauty and impart an image of self-confidence to your friends, family and co-workers. Threading and Mehendi’s evolution from ethnic to mainstream status is being noted around the country. Celebrities such as Brad Pitt, Reese Witherspoon, Liz Hurley, Heather Graham, Cher, and Selma Hayek have been reported to have regular threading appointments. 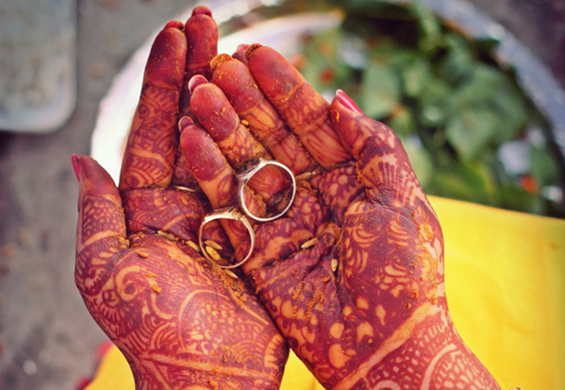 Henna has become popularized by the likes of Madonna, Gwen Stefani, and Liv Tyler. Magazines like Vogue, Cosmopolitan, and Glamour have all featured articles about threading and Henna tattoos. Threading has even been featured on popular shows such as America’s Next Top Model, Ugly Betty, and Dr. Oz. Learn more about the benefits of eyebrow threading. We also provide full body waxing at Threads. Our estheticians are professional and sensitive to your needs. Our very high quality waxes use of the latest techniques that minimize bumps and irritation. Beautiful skin is our goal. Our professional estheticians can help you melt away tension and achieve great skin with our organic facials. Certified organic skin care products are better for your skin. They do not contain chemicals or synthetic additives which have been known to cause skin irritation, hormonal imbalances, and other harmful effects to your body. Indulge yourself with a Threads signature all organic facial. Whether you are from Dublin, Pleasanton, San Ramon, Danville, Livermore or Castro Valley, our convenient location right off of Hwy 580 makes us a great stop. Our acclaimed team at Threads Beauty Bar and Spa looks forward to supplying you with the best beauty services in the Bay Area.